Insurance Adjusters Make Money by Denying Hurricane Claims | The Voss Law Firm, P.C. Most hurricane victims simply want to be able to rebuild their lives and put the disaster behind them, but they will have to wait until they receive an insurance payment before they are able to move on. Unfortunately, many will face denial or underpayment that leads to further heartache—all at a time when insurance adjusters are earning a premium. Attorney Bill Voss explains why you should be extremely careful when dealing with insurance agents after a hurricane, and why a company adjuster is never on your side. It is a claims adjuster’s job to calculate the amount of insurance payment that should be issued to a policyholder after a loss. The adjuster can use a variety of sources in the calculation, including assessing the damage, examining weather and police reports, and taking statements from the policyholder and witnesses. As hurricanes often affect whole counties at once, insurance adjusters are in high demand after a disaster—and they may be paid tens of thousands of dollars by insurance companies to minimize their losses. A recent report from The Wall Street Journal estimated that independent insurance adjusters can earn $65,000 to $100,000 in the first month after a hurricane, making it extremely profitable for them to work in the company’s best interests. Control. Whether or not the claim is approved, someone will need to calculate its value and determine the reason for the coverage provided. If the insurance company has to foot the bill for the service either way, they can tip the scales in its favor by offering high figures to their adjusters. Employment laws. 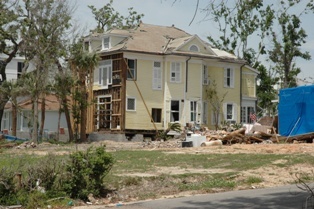 Insurers may hire independent adjusters after a disaster to deal with the high number of catastrophe claims. These adjusters are considered “free agents” rather than employees, so they do not require health benefits and can be paid per claim, saving the company millions in overhead costs. Company loyalty. Staff adjusters are year-round insurance company employees, and depend on the company for their livelihood. An employee who saves the company money is much more likely to stay employed than one who pays full price on claims. Insurance company representatives make claims decisions based on one thing: how they can save the most money. However, it is expensive for insurers to go to court to settle a dispute—so with the right attorney by your side, you could convince your insurer that paying out on your claim is the least expensive option. Simply fill out the form on this page today to contact an insurance attorney at the Voss Law Firm or order a free copy of our book, Commercial Property Owners Must Read This BEFORE Filing an Insurance Claim.